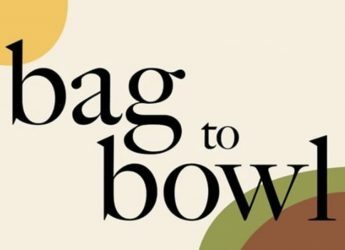 Bag to Bowl – Adventures in food from my kitchen at home, eating out, trying new recipes or recycling old ones. Adventures in food from my kitchen at home, eating out, trying new recipes or recycling old ones. I’ve been rabbiting on to my other half for a good few months (well almost a year) about wanting to find a patch of Wild Garlic and be able to try out some recipes, using it in the kitchen at home. Last spring proved to be rather uneventful as after stumbling across a healthy crop of these beautifully fragrant, verdant beauties whilst on a weekend trek across the South Downs – blissfully unaware of what they actually were, we carried on our merry way. It was only after the event (typical) that I started to see a tidal wave of posts and recipes celebrating the versatility of this pretty little plant. You’re beginning to get the picture, right? I’ve developed a slightly bordering on the obsessive desire to hunt out these plants and not fail miserably in my quest this year to harvest a crop and put them to good use! The Garlic Gods were clearly on my side then this weekend just gone; as we were driving down a little country lane in Kent, I jokingly said ‘keep your eyes peeled for Wild Garlic’… My wishes were answered as no sooner as the other half had finished the obligatory eye roll, we turned a corner and there it was, a glinting sea of green stretching out into the woodland. Sheer fluke of luck or divine intervention? I wasn’t waiting to find out and put what I’d learnt in driving lessons two decades ago to good use; the emergency stop. Jumping out of the car excitedly, there was a brief moment of doubt and questioning, ‘erm, are we sure this isn’t Lilly of the Valley?’, however reassured by the garlicky scent we picked a couple of good bunches of leaves to take home (doubling up as a garlic scented car air-freshener in the interim). So, after much procrastinating and wondering where to start, I’m taking the plunge and telling myself ‘you can do this’! 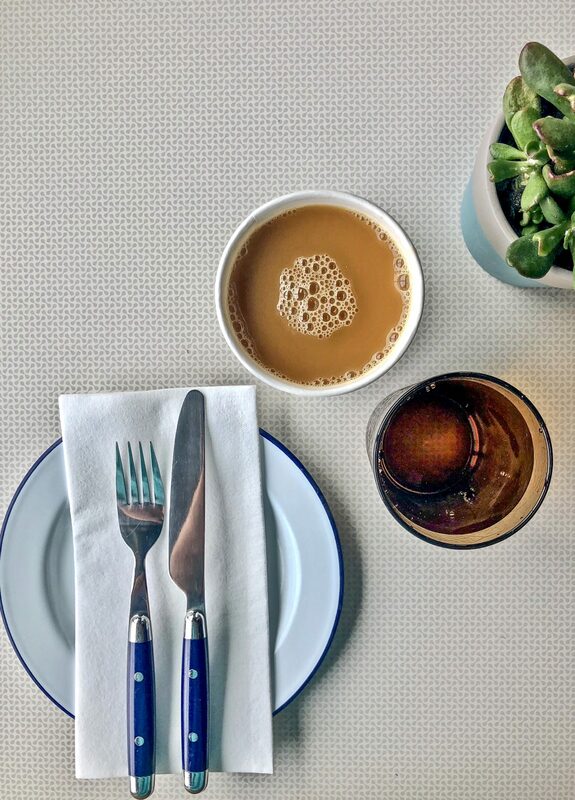 Welcome to my page, a place where I’ll share my journey to explore new recipes, recycle old ones and hopefully have fun eating our way through plates of glorious food along the way. Sometimes I’m still overwhelmed by the volume of recipes out there on the internet, all accessible in seconds with just a few quick key strokes. The problem is that when you’ve typed in what you are looking for (or at least think what you are looking for), its almost like being a kid in a candy shop staring up a wall of endless choices on what to spend your pocket money on…… You just can’t choose! Like a family favourite recipe or a cookbook that you return to time and time again, I’ve found a site that has become a firm favourite of mine: bonappetit.com/basically. It’s a one stop shop for recipes, restaurants, culture and hands-down great content; take a look and let me know what you think, I can’t recommend it highly enough. So, enough rambling. Lets get to the point of why were are here today: the recipe from Bonappetit.com, Date Night Pork Chop. It’s true, I’ve fallen for this one hard, not just the recipe but the method used to cook the meat, it truly is fool proof and I can guarantee you won’t be disappointed. Take your pork chop out in advance and let it sit at room temperature to ensure that it cooks evenly (plus fridge to pan meat never ever tastes as good). Pat the meat dry all over and then season well with salt and pepper, then set aside. I sometimes like to do a dry rub of toasted, then crushed fennel & mustard seeds with a tablespoon of soft brown sugar – this will give the meat a mind-blowingly delicious crust when its cooked. Shave 1oz. Parmesan cheese and then break into small shards. Cover this with a damp kitchen towel (this will prevent it drying out). Using the base of a cast iron skillet pan, crush the hazelnuts into pieces on a chopping board and then set aside. Peel, and then finely chop the shallot. Set aside. Cut the base off the endive and separate the leaves as you go (you will need to trim the bottom again as you work your way up separating the leaves). Core, then cut the apple into thin slices. I like to toss these in a bowl with a squeeze of lemon juice to prevent any discolouring before chilling until you are ready to plate up. Put the cast iron skillet pan on a medium heat. Taking half a tsp. of honey and a Tbsp. of oil, rub the mixture evenly over the pork chop to coat (this is going to give you a wonderful caramelised exterior when cooked). Lay the chop in the hot pan and leave to cook for about 3 minutes until dark brown and caramelised. Turn over and cook the second side, again for about 3 minutes. Finally turn the chop on its end and cook for 2 minutes to sear the fat cap before removing from the pan and allowing to rest on a warm plate whilst you finish off the final stages. Add roughly crushed hazelnuts to the pan with 2 Tbsp. of oil, cook over a medium heat, stirring as you go until the are toasted golden brown. This should take about 3 minutes. Toss the shallots into the pan; season with salt & pepper. Cook for about 2 minutes until they are softened and browned. Turn the heat down and then stir in 2 tsp. of honey and squeeze in the juice from half a lemon before removing from the heat. Take the endive and apple out of the fridge, season with salt and pepper, toss the Parmesan and 1 Tbsp. of olive oil in and mix everything together to coat. Now you’re ready to plate up. Either leave the pork chop whole or slice the meat if you prefer it this way, put on the plate and pour over the juices. Sprinkle with sea salt flakes (I like to use Maldon). Arrange the salad next to the chop before spooning over the shallot & hazelnuts before serving. This is an absolutely delicious meal as it is, however I also served it up with some crisp, fluffy roast potatoes and shallots, simply halved and cooked slowly in a frying pan with a generous knob of butter until sticky and sweet. This method of cooking steaks, be they Pork or Beef has become a firm favourite in my kitchen, I hope that you enjoy it as much as I do! Credit for the recipe to Bonappetit! Now if only I could decide what sweets to choose as I stand there staring up at the shelves…..